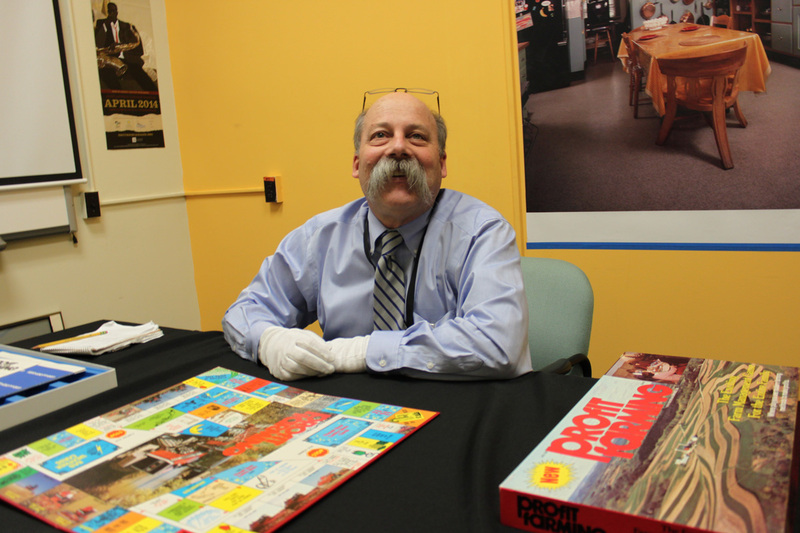 Earlier this month, we sat down with curator Peter Liebhold, chair of the museum's Division of Work and Industry, to take a look at a curious board game in our collections. 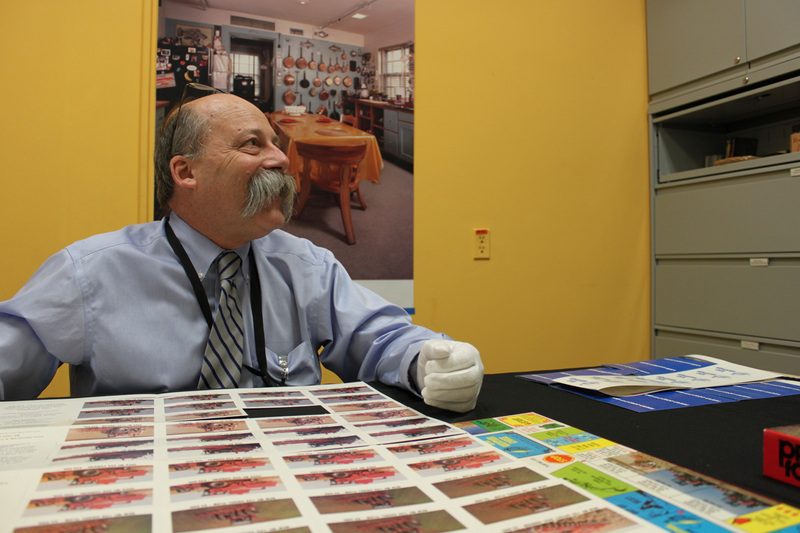 Many games at the museum touch on the history of business in America, everything from building monopolies to shopping with credit, but very few focus on one of the oldest sectors in the U.S. economy—agriculture. 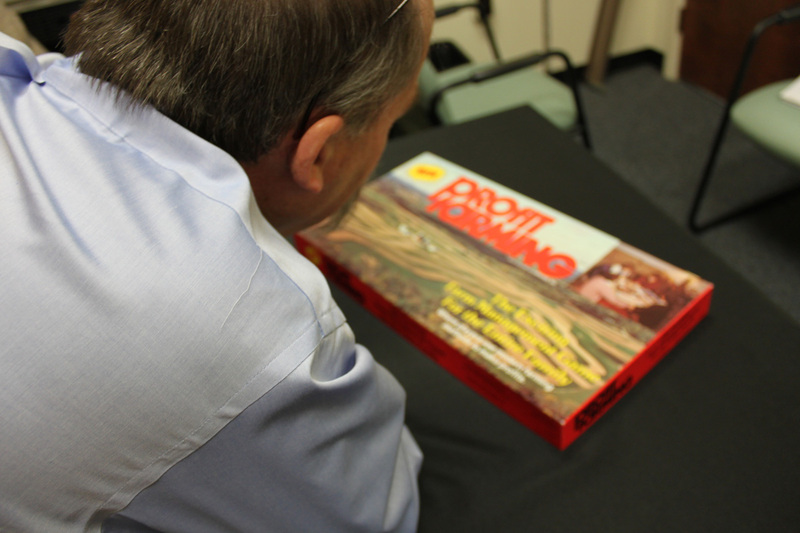 Profit Farming, a board game found in the collections of the museum's Division of Home and Community Life, is one such example. 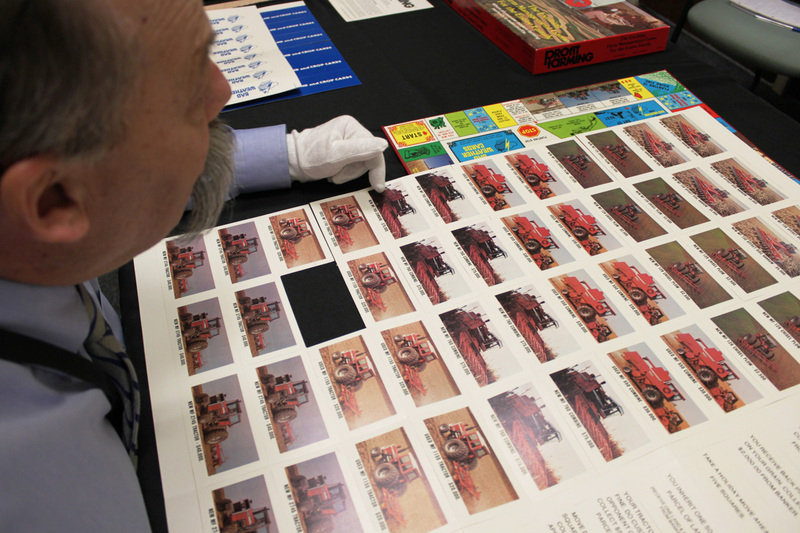 Produced in 1979 by Foster Enterprises, Ltd. in Mankato, Minnesotta, the game sets out to show players (in the words of its creators) "what farming is all about" with all of the "challenge and excitement, humor and good times as well as the hard luck farmers face in real life." As we learned during our visit with Peter, the 1970s were one of the most disruptive decades in the nation's agricultural history. Exploring Profit Farming taught us about how American agriculture (particularly large, commercial farming) has changed since 1979 as well as how it continues to develop. Below, we've highlighted five of our favorite insights from the interview. 1.) 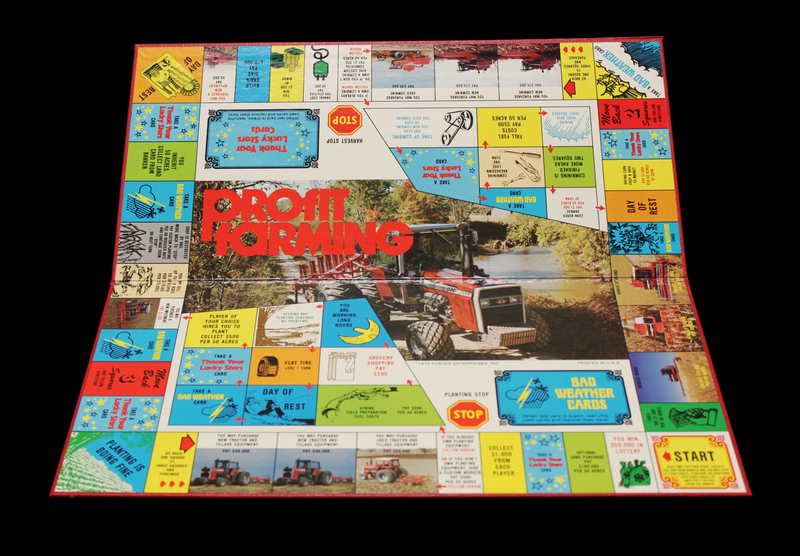 "Profit Farming" was either a brilliant or brilliantly ironic name for a board game in the 1970s. 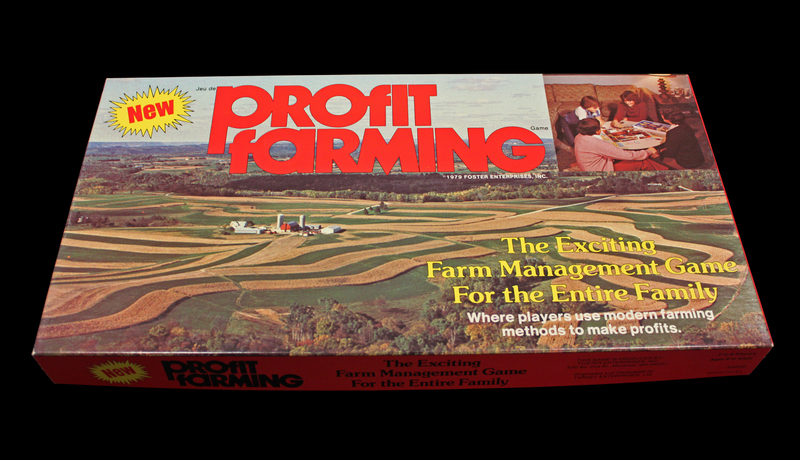 When I saw that this game was in our collections, it immediately intrigued me because the title —'Profit Farming: The Exciting Farm Management Game for the Entire '—captures the 1970s hope for American agriculture. In 1971 President Richard Nixon appointed Earl Butz as secretary of agriculture, and Butz set out to transform American farming. Nearly 40 years earlier President Franklin Roosevelt had appointed Henry Wallace as secretary of agriculture during the depths of the Great Depression. Wallace and Butz could not have been more different. Wallace's philosophical goal was parity; he wanted farmers to have a decent income, on par with someone in manufacturing. And the way he and the government pursued parity was, among other things, taking land out of use and tamping down production so that prices would go up. Butz also wanted farmers to be successful and have a good life, but he thought they should do it by running a large, efficient business and increasing productivity. Earl Butz was the person who told farmers to get big or get out and to plow from fence-row to fence-row. Rather than limiting production, Butz looked overseas to expand markets. 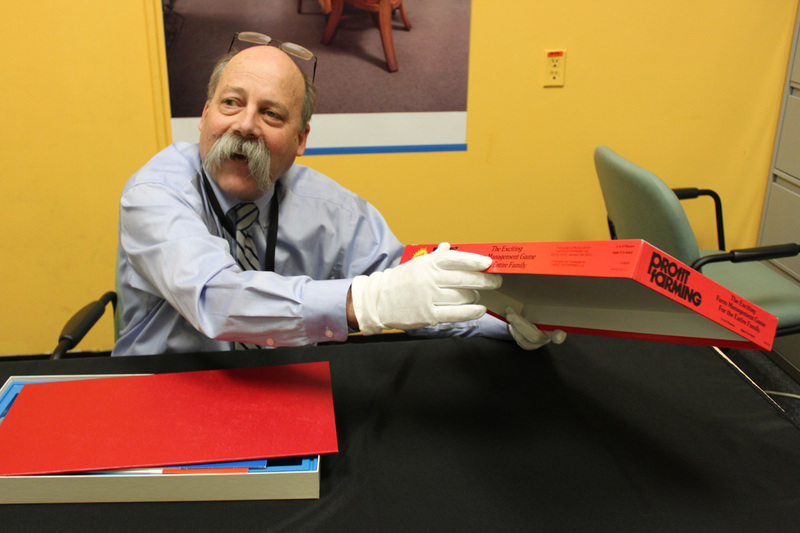 The second reason I was intrigued (and this connects to what I was saying before) is the year the game was published—1979. Either the game-makers were making a joke, or the name Profit Farming couldn't be more ironic. 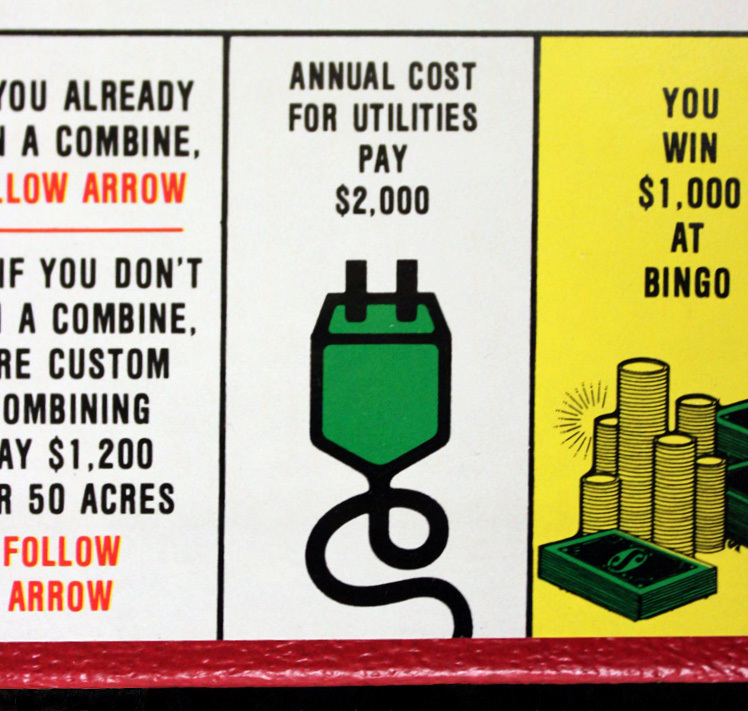 1979 happens to be the beginning of the farm crisis in the United States, and that means that just as farming is going into the toilet, someone released a game with 'profit' in the title. The 1970s actually started off as a very good decade for farmers. The U.S. opened grain trading with Russia, and world demand for American food was going up. Farmers bought into Butz's message that they were supposed to buy more land, buy more equipment, and go into debt, because going into debt was the only way to capitalize from farming and raise productivity. Which means that American farmers were borrowing a lot of money. And in the beginning of the seventies that's OK because money is cheap, but by the mid-1970s inflation takes off. Those problems are compounded by the fuel crisis. And then, at the end of the decade, the U.S.S.R. invaded Afghanistan and the U.S. shut off grain exports, which just killed the commodities market. All of these things set off the crisis in the 1980s, which is when many farmers went bankrupt. 2.) Despite crop insurance, government subsidies, and other back-up plans, today's farmers are still at the mercy of the weather. And they still worry about it. 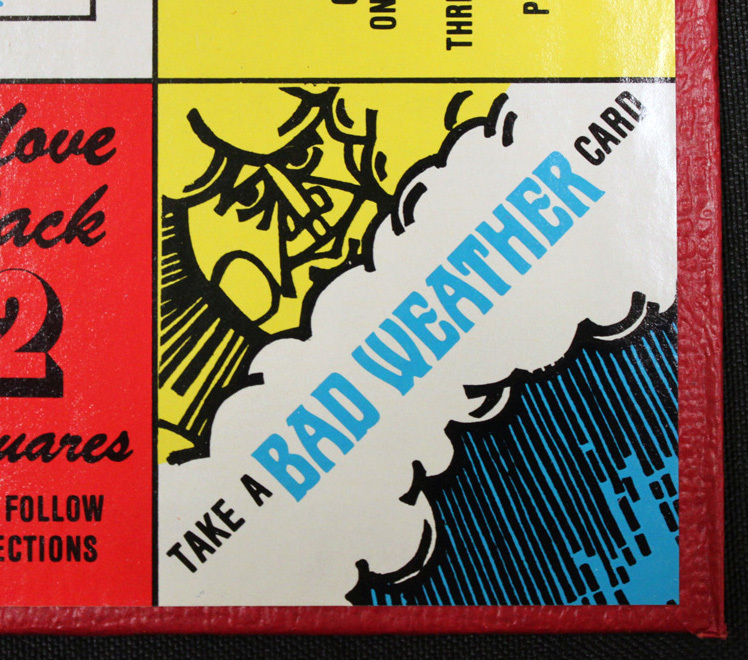 These 'Take a bad weather' cards are kind of interesting, because they remind me of this great quote from financier George Soros. Someone once asked him to go into farming and he said, essentially, that he would never go into any business where you only get paid once a year and you're at the mercy of the weather. And, you know, this is true in farming. It doesn't matter how great a farmer you are, the weather is the weather and you have no control over it. 3.) Today, many farmers think high-speed Internet access should be the next New Deal-style "rural electrification" project. (Though a few still prefer shovels to smartphones). Scouting is one of the main areas where you can see how modern technology and innovations are transforming agriculture. Farmers have always needed to constantly go out into their growing fields and look for problems like pests and disease. But a lot of this stuff is difficult to see. So farmers are investing in new ways of accomplishing the same goals. One of the cutting edges today is using GPS and drones, with farmers scouting their fields while sitting in their office. For instance, I've got photographs of drones going down the lines in orchards looking at the trees. To give another example, if a farmer is growing something like vegetables, then she has to keep a close eye on soil moisture. Many people are now choosing to put sensors in the ground, which means they can actively monitor how much water is in the soil at all times and, when needed, change their irrigation schedule around to meet the right conditions. Recently at the museum we had a farmer from Nebraska who, while he was onstage, took out his iPhone and turned the center pivot of his irrigation system from 2,500 miles away, which is kinda awesome. Not everyone is on the Internet bandwagon, though. In fact, Bill Hartman, one of the farmers we feature in the American Enterprise exhibition located in the Mars Hall of American Business, doesn't think much of computers. He still prefers a shovel and believes he can learn more by actually shoveling up a piece of dirt and feeling it for himself, which is probably true, but that's all skill. And it gets more difficult as a farmer's acreage gets bigger and bigger. All of this is why rural broadband is such a huge issue for farmers, and many of them connect it to rural electrification in the 1930s. When the government brought electricity to areas that could not have otherwise afforded it, it launched a fundamental change in how farming was done, everything from the milking of cows to grain storage. And many farmers think that rural broadband could be just as transformative. You could imagine a future version of this game where a player gets dinged because his field's Wi-Fi went down. 4.) Today's tractors and combines have sealed cabs complete with stereos and A.C., but not because farmers want to relax while they work. Now here's something I didn't understand until fairly recently. You can see how all the tractors and combines in this game have enclosed cabs. Today, you often hear people making these somewhat snide comments about how it 'must be nice' to spend the day working in air conditioning with a full stereo. But that perspective misses a lot. A while ago, I was showing a farmer a photograph of someone driving an older tractor. She looked at me and said, 'Oh Peter, that is so sad.' And I said, 'What are you talking about?' And she said, 'Look, they're on a tractor that has no roof, and they're going to get cancer.' And she's absolutely right. Overexposure to the elements is really bad for you, and that cab's roof is all about keeping the sun off your skin. Farmers also need to have the cab enclosed and pressurized so that they don't breath all the dust because, like the radiation from the sun, the dust can be dangerous. Also, I should say that I've actually never been in a tractor where a farmer was just relaxing and listening to the music. [Laughs]. They are always on their phone. Whenever I've been riding with people they've been looking at commodity prices. They're thinking about marketing and doing business. One of the things we always say is the cab of a tractor is like the office for a CEO; it's where all the decisions get made. 5.) Modern farmers have to weigh the advantages and disadvantages of using chemicals like pesticides and herbicides, and it isn't always clear what option is best. The game certainly does feature a lot of equipment, though the prices are so low by today's standards. $30,000 for a used combine is almost comical. Just looking at the equipment cards, you have tractors with plows, a combine with a corn head, and a combine with what looks like a soybean reel. But what you don't see is a sprayer. Today, there's a big move toward no-till agriculture in the U.S. Tilling the soil traditionally accomplishes a few things. It does loosen the soil, but mostly, it kills weeds. But going no-till doesn't mean farmers need less equipment. Instead, it just means that they need different equipment, and one of the major pieces of equipment they need is a sprayer. Farmers use these machines to spray fertilizer, pesticides, and herbicides. And it's the last use that's so essential for no-till, because if you can't kill weeds by turning over the soil, you need to take them out another way. It's true that there are both benefits and downsides to using chemicals, but what farmers have learned is that, when you plow or till the soil to kill weeds, you also disrupt the microbiology of the soil. Spraying also cuts down erosion, which is today at an all-time low. The environmental ramifications are complicated. One of the reasons why no-till farming and sprayers are more popular today is that, when this game came out, farmers couldn't buy herbicide resistant seeds. The first really successfu herbicide resistant seeds were Round-up Ready soybeans, and they didn't come out until 1996. So really it's not surprising that there isn't a sprayer on this board.